The nature of the relationship between brands and consumers is changing. The chief task of brands is no longer to create winning products for shoppers; rather, in today’s world, the most important goal is to create experiences. Not only is this true of retail environments, but as brands are finding it harder and harder to bring shoppers into stores, they are finding that they have to venture out into the streets and create experiences for consumers where they already are. Some of these branded experiences have surpassed the expectations of commercial installations and have gone on to become real fixtures in their communities. Here are five of our favorite examples of such feats. 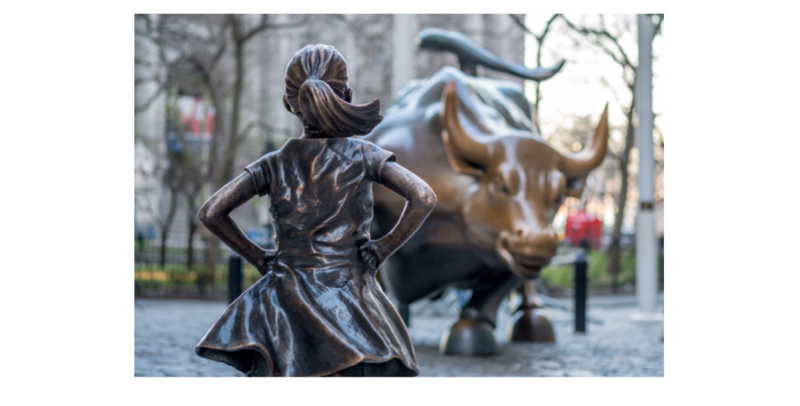 Staring down Wall Street’s iconic Charging Bull, the Fearless Girl statue made international headlines when she was first installed in March 2017. She has been seen by many as a symbol of female strength in the face of corporate sexism and cultures of masculinity, and citizens from New York City and beyond rallied for an extension of her permit (which originally only granted her one week in that position). The public embraced her as an art piece welcomed her as a powerful visual statement to Wall Street executives that change is coming. What is so brilliant about this installation is that, contrary to the popular belief that she was the result of some guerilla artist, Fearless Girl was in fact the product of famous advertising agency McCann and their client, State Street Corporation. State Street is actually a financial services company themselves, and the campaign was meant to act as commentary on the lack of women in roles of corporate leadership. They certainly succeeded. Posca markers are popular among artists, and in 2012, Australia-based Ambiance Lighting created an LED chandelier out of recycled marker casings that glowed each marker’s original color. This whimsical and unexpected marketing display demonstrated the creative power of Posca, that they can transcend simple 2D works and level up their role in any number of complex projects. Just last week, Audi revealed their Fifth Ring installation at Milan Design Week 2018. Conceived by MAD Architects, the suspended circle invites the viewer to look upward at the framed sky, symbolizing “mankind’s continued search for perfection” and our propensity toward innovation – two concepts that Audi tries to embody as a brand. We admire Audi’s gamble on commissioning a high-concept installation and for playing with the architecture of the Milan seminary to reimagine a historic space. A true example of reaching consumers where they live, Nike partnered with Brooklyn-based artist Brian Donnelly to connect with the footwear brand’s “deep roots in New York City” for their New York Made campaign. The result was a limited-run basketball court in Sara D. Roosevelt Park, with design inspiration stemming from skateboard graphics, graffiti, and other publicly-accessible kinds of street art. This is another winning campaign from Nike, this time in celebration of the 2010 World Cup. 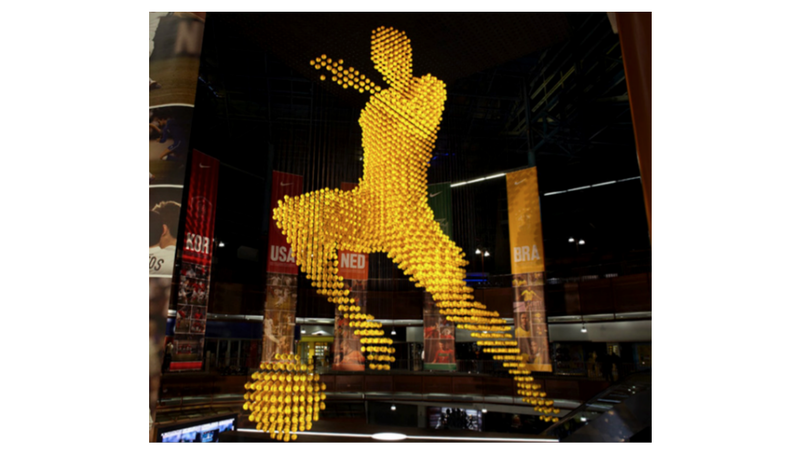 The 4.75-ton “Ball Man” was installed at a Johannesburg mall, and was made entirely from Brazilian skill balls. The installation was incredibly popular and was designed in such a way that left the balls intact after it was taken down, so that they could be donated back to community after the exhibition’s run.